You can now create job schedulers to manage your scheduled tasks. By replacing advanced agents with job schedulers, you can monitor and maintain background processing more effectively. 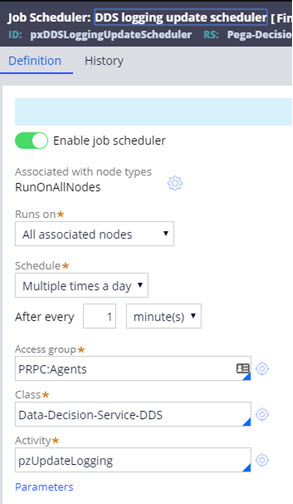 You can associate job schedulers with different node types, and control whether they run on one node or all nodes of a specific node type in a cluster environment. You can configure job schedulers to run on a custom schedule, or at a start-up. The following figure illustrates the job scheduler rule form. For more information, see Job Scheduler.